Learning humility is not an easy task. In fact, many times we see kids learning more about humiliation than humility. While these two words are derived from the same root, they are on opposite ends of the spectrum in regards to meaning. 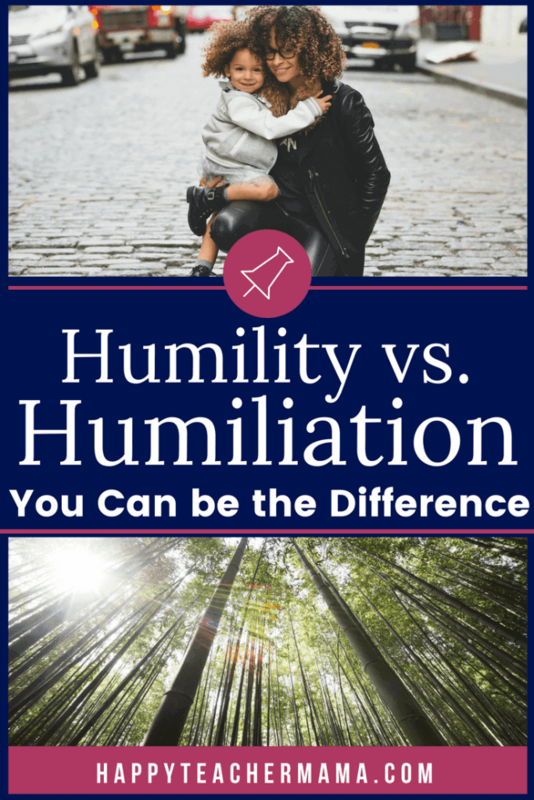 Humiliation is “to cause a painful loss of pride, self-respect, or dignity.” In contrast, humility means “a modest opinion of one’s own importance.” Do you see the difference? The greatest difference has to do with autonomy. Being humble is an individual’s choice while being humiliated is a situation an individual is thrust into by another. Now, I want to clarify that being humble, in this context, does not mean being a doormat or a pushover. As defined by Merriam-Webster, a humble person “is modest and courteously respectful.“ Thus, a humble person will regard others as important and worthy of respect, regardless of age, race, socioeconomic status, or any other factor. However, being humble isn’t easy. If it were, everyone would exhibit humility, and you know as well as I do that it’s not a common occurrence. In fact, the opposite is true…arrogance runs rampant in our society. And unfortunately, if an arrogant individual feels threatened, he will humiliate another person in an effort to retain his fragile façade. While this is a sad reality, we need to teach our kids that this is unacceptable. We know that the best way to teach is through modeling, and that means we need to exhibit humility. So then, how do we overcome the trap of arrogance and display humility to our students, spouses, kids, and everyone else for that matter? Well, just like learning to extend grace, demonstrating humility will take a conscious effort. And it’s going to mean you need to take a long look at your own behaviors to determine where you can grow as a person. Humiliation by definition is painful. I know you’ve heard the rhyme “Sticks and stones may break my bones, but words will never hurt me.” That is completely false. There have been times in my own life that I would’ve taken physical pain over the mental or emotional pain I experienced. Humiliation means to abase or shame someone. 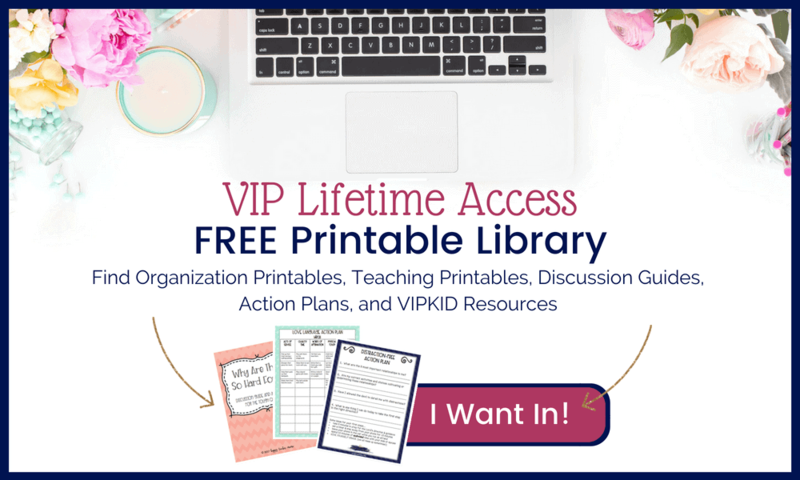 Our little kiddos bring a lot of baggage to school with them, and some of it could include humiliation from parents, adults, and kids alike. The last thing they need is more humiliation from an adult who promised to watch out for them. Our words cut very deeply, and we’re supposed to be protectors not bullies. Once our words are spoken, they can never be taken back, and for that reason alone, we need to be conscious of ways we might be humiliating our students. Being angry when speaking to a student, and allowing that anger to create a reaction. Attacking the character of a child instead of focusing on the inappropriate behavior. Making a student “pay” for a personal humiliation you’ve experienced through their choices. Calling out a student and demeaning them in front of the other children in the classroom. Using a child as “an example” to the other kids. In complete contrast, learning humility and expressing it is a choice, not a reaction. Let me give you an example. When I returned to teaching in the classroom after my boys started school, I found myself making a lot of mistakes. Everyday I was doing something incorrectly…from attendance to procedures, I messed them all up. It was SO FRUSTRATING!! There were multitudes of times I could have humiliated my students for forgetting something or doing something I didn’t like. But, I chose to use my own imperfection to teach them an important lesson in learning humility. I made mistakes as an adult. They were worthy of receiving an apology, and extending forgiveness to me. Our classroom was a safe place to be imperfect! It created an environment where they knew making mistakes was ok, but more importantly, they learned about taking ownership of their actions…good or bad. They were more understanding of each other because they were learning humility. Similarly, I’ve found that my boys have learned a lot about dealing with mistakes from me. I’ve had to go to each of them on different occasions and ask for their forgiveness because of something I said or did. If I was in the wrong, I needed to ask for their forgiveness. Did I enjoy having to do this? No, but I did it anyway. Everyone deserves respect regardless of age. Asking for forgiveness for wrongdoing is necessary. My boys know that I respect and love them because I’m willing to humble myself, admit I was wrong, and ask for their forgiveness. They are aware of how humbling it is to apologize to someone and ask for their forgiveness because they’ve had to do this themselves. They know that mistakes are part of life, and they also know that if you’ve wronged someone, you apologize to that person and ask for their forgiveness. Is that easy to do? Absolutely not! It’s against every fiber of our being. We don’t want to be wrong, and we certainly don’t want to admit it by asking forgiveness from another person. However, arrogance and humiliation are not the answer. And, although we don’t want to acknowledge our shortcomings, doing so doesn’t make us weak. Learning humility actually demonstrates great depth of character. So well stated and something that I strive to show and encourage in my three school-aged girls. Thank you for sharing!